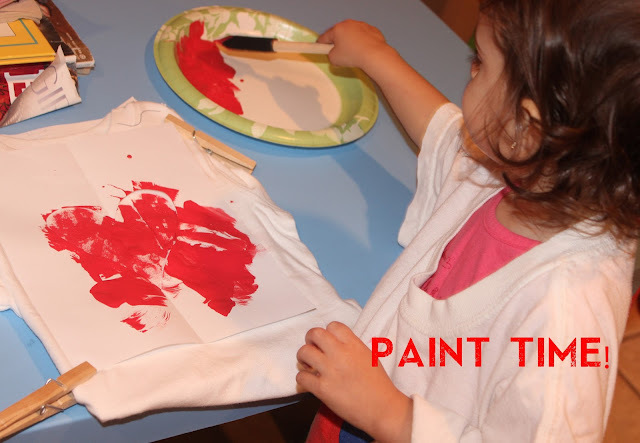 With Valentine’s Day coming up, I have been planning on getting the kiddos some cute finds to wear on the day of love! As you see here, there are so many cute choices out there! I got Sienna this shirt from H&M and as of two days ago I still hadn't gotten anything for Daniel! Both of the kids have been battling the stomach bug this week and I really didn't have much time to shop so I decided to DIY it! I was inspired by a guest post that one of my favorite blogs, Small Fry, did on the blog Honestly (the blog for Jessica Alba's line of natural and eco-friendly products, The Honest Company). 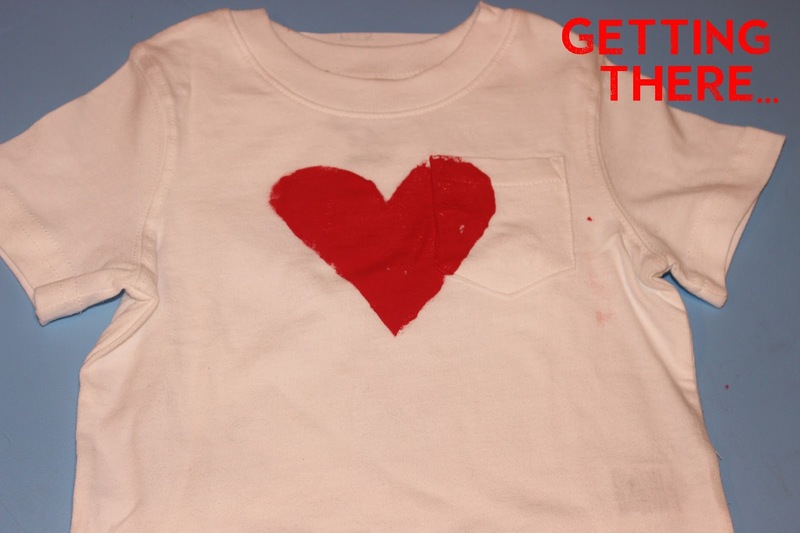 They did DIY heart sweatshirts that allowed the kids to partake! I thought this would be perfect because Sienna loves to paint and it uses a stencil so she could easily help out! I changed it up a little bit and used a white tee since the weather has been in the mid 80's here every day! 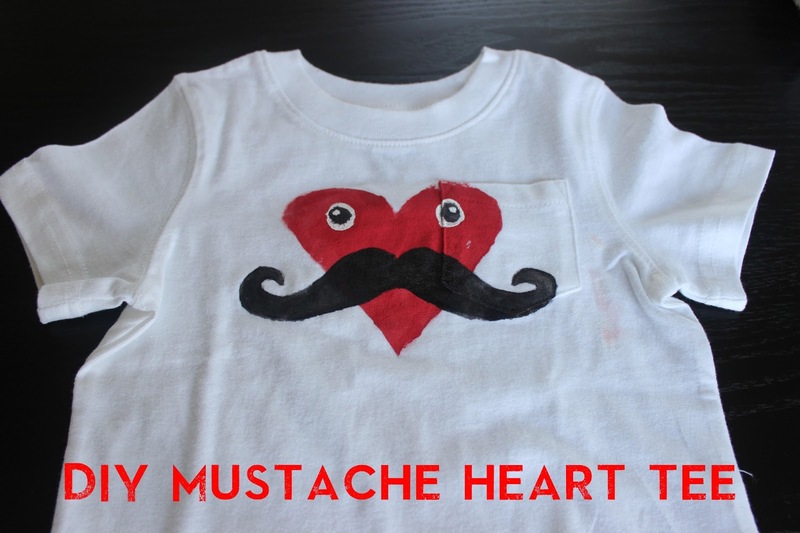 If you read one of my previous posts, you may have noticed that I have a little bit of a heart/mustache obsession so I was also inspired by the cute pajamas from Gap Kids. I had everything except the white tee which I found at Target on clearance for $2.50...Score!!! I then got a piece of paper and cut a heart into it. Next I wrapped the shirt around a magazine so it would be centered and pinned it down with clothespins as well as pressed some double wrapped tape on the back. Then Sienna could start painting and boy did she love it! 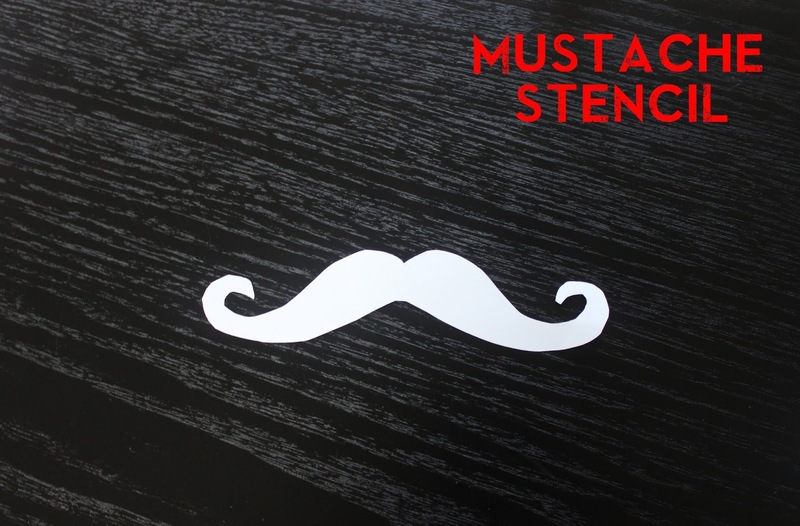 and then used this stencil to create the mustache on the shirt and voila! !